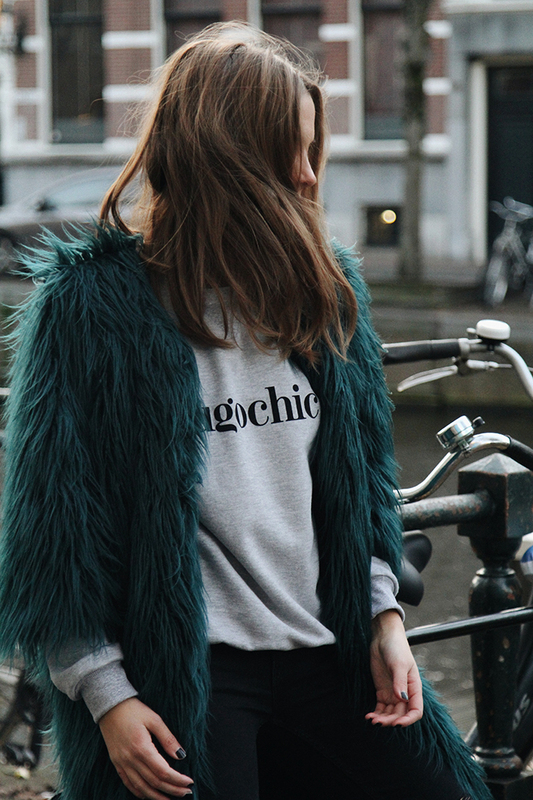 My second look from Amsterdam is finally online (one year later, check the first one here). I paired my fave faux fur coat from the upcoming brand Not your basics with sweatshirt and sneakers. It's comfortable, warm and feels cool.